St. Lucia is known to be the best place in the world to travel for honeymoons. It has been like this for many years and growing to be better year after year. Travelers from all over the world come to experience the natural beauty that the island has to offer. 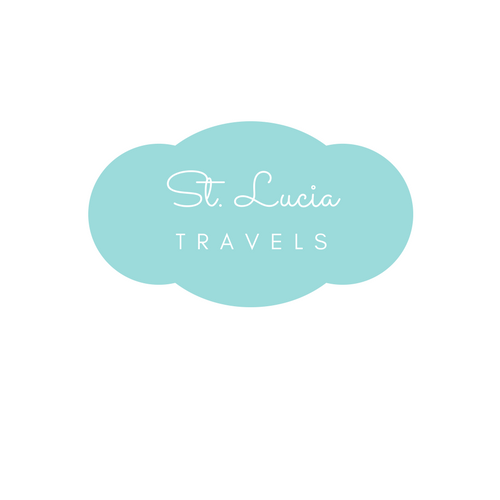 I would not have this blog if it weren’t for the many honeymooners and travelers that love the island of St. Lucia and choose to make it their home for 7 days or more. Take a look into how a couple spent their honeymoon in St. Lucia, the things they did, the places they stayed. Get ready to have a journey through the eye of Chris and his beautiful wife. Before we get started, we want you to give our Facebook page a quick like and be sure to follow us on Instagram for some amazing inspiration. We also do use Affiliate links in some of our posts meaning we could make a commission if you purchase from links. TripAdvisor and Expedia are also one of our Affiliate partners that we link too. My wife and I celebrated our honeymoon in St. Lucia back in April of 2016. We split our trip between two resorts- first, we stayed at Cap Maison for 4 days and then we went to Ladera for another 4 days. We were taken back at how friendly everyone was on the island and how amazing the resorts were. We immediately got upgraded to a huge suite when we arrived at Cap Maison with a rooftop deck overlooking the ocean. We ordered room service for breakfast 3 out of the 4 days and we were not disappointed; it felt so nice to eat a delicious meal from the comforts of our room. Not only that, we were a quick stroll to the beach where our favorite restaurant was, The Naked Fisherman. We ate lunch here every day we stayed at Cap Maison, my wife would always get the watermelon mint and feta (i believe) salad and shoestring fries- but everything on their menu was amazing. It was so nice to relax on the private cove and enjoy some drinks and great food by the ocean. At night, we would walk the grounds of the resort and enjoy all of the beautiful landscaping and flowers before eating at The Cliff at Cap where we enjoyed lots of great wine and food. The second part of our trip was at Ladera – we’re very outdoorsy people and absolutely loved this place. The best part of the day was waking up and having the Pitons directly outside of our room, the views were spectacular. The food was obviously delicious and we loved relaxing in the common area near the pool overlooking the Pitons. On the first day, we enjoyed a couples massage at the Spa which was a great way to start the second part of our trip. We actually met one of the owners of the resort (whose name, unfortunately, escapes me) and she gave us free passes to a festival for my wife’s birthday that was being held in Soufriere on one of the nights we were staying there, which was an extremely kind gesture. While we were at Ladera, we went on an excursion through downtown Soufriere and were taken on a tour through one of St. Lucia’s botanical gardens which were truly unforgettable. We came across several waterfalls, interesting plants and fruit, and relaxed in the sulfur springs. At the end of the excursion, we got into one of the ‘mud baths’ and covered ourselves in the mud from the springs which felt so revitalizing! We heard April was the end of the ‘rainy season’ in St. Lucia and we experienced rain showers almost every day at Ladera but honestly, it was one of our favorite things because we felt like we were in a rainforest and loved relaxing in our beautiful room watching and listening to the rainfall. We loved everything about the island of St. Lucia – the people, the food, the accommodations; all of these things and more made our honeymoon an unforgettable one and we can’t wait to return! What an amazing story, we can’t wait for you to come back and enjoy our beautiful island once again, maybe on an anniversary trip :).